My Friend And Yours, Buddy The Wolf! 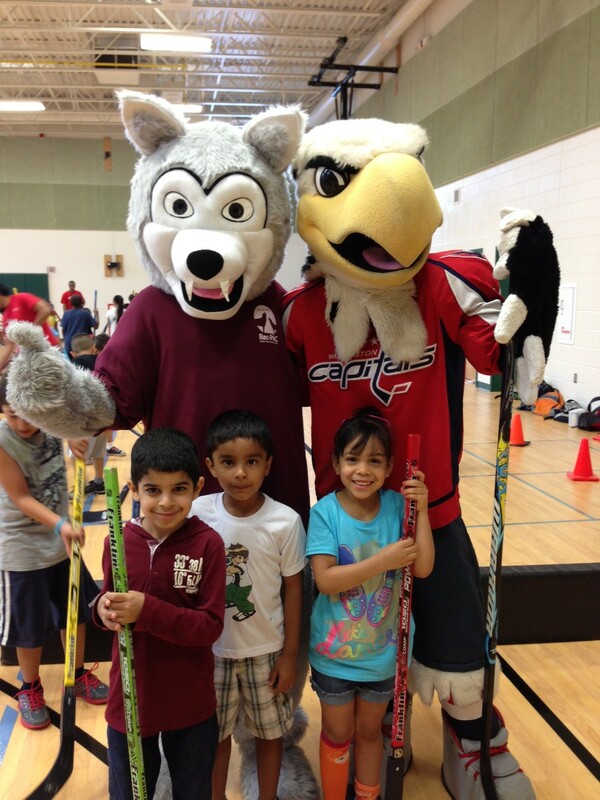 Buddy the Wolf enjoys playing street hockey with Washington Capitals’ mascot Slapshot. 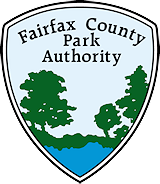 Did you know that the Fairfax County Park Authority employs a wolf? Yes, a wolf! Well, someone in a wolf costume, anyway. His name is Buddy, and he is the official mascot of our Rec-PAC program. We tried to interview Buddy, but he was too busy howling with happiness. Now that Rec-PAC is over for the summer, Buddy will be attending special events around the community. If you see him, please don’t be shy. Go give him a high five! Buddy is a very likable wolf. In 2011, the Rec-PAC program changed its logo to a pair of wolves and added a new slogan, “Join the PAC.” We interviewed many different mascots that year, but Buddy seemed like a perfect fit for the program and was hired on the spot. Buddy spent his first summer with us visiting camp sites dressed in his favorite t-shirt featuring the new Rec-PAC logo. It was no surprise to staff that Buddy was an instant hit with the campers, parents, and school staff. In 2012, the Rec-PAC program began selling stuffed mini Buddy’s and sold out within two weeks. The popular stuffed animals quickly sold out again in 2013. So what else does Buddy do? He assists Rec-PAC staff with its anti-bullying campaign. He shows up at Rec-PAC with his mission to help campers learn about the importance of being a friend to everyone. He helps staff by encouraging campers to talk about bullying and how it can hurt people, not only physically, but also emotionally. Buddy has not only been a great addition to the Rec-PAC Program but to the Youth Services department as well. Buddy believes that we all come in different shapes, colors and sizes, but we are all human and should treat people the way we want to be treated. His main goal is to make the summer a special one for every camper by helping staff educate kids on the harm bullying does to a person and how each of us can prevent bullying. Buddy reminds us that we all have the power to make someone’s summer the greatest it can be! Buddy is also a fun-loving wolf. He loves playing games, dancing, and using his imagination to create new things, especially during arts and crafts. He can often be found in the game room playing Wii Baseball. He loves when his friend Slap Shot from the Washington Capitals Youth Development Programs comes to visit. The two of them have a great time playing street hockey together. The only thing you have to be careful about is keeping Buddy away from the popcorn machine. Buddy loves popcorn and will eat it all if you let him. To learn more about Buddy and the Rec-PAC Program, click here. Take care, and remember to be a Buddy to all. This entry was posted in Uncategorized on August 26, 2013 by Fairfax County Park Authority.